Chantelle Rice Collins OTD, OTR/L, CDE graduated from USC with her master’s degree in occupational therapy and her doctorate of occupational therapy, and completed her doctoral residency at the USC Occupational Therapy Faculty Practice, where she created a lifestyle intervention program for individuals living with diabetes. Dr. Rice Collins is the director of the USC Occupational Therapy Faculty Practice, where she also sees patients in the Lifestyle Redesign® programs, including weight management, diabetes, college students, health coaching and pain and headache management. Having witnessed firsthand the power of lifestyle change, Dr. Rice Collins believes in prevention and management of chronic conditions, and her clients exemplify the way wellness approaches to health can increase the quality of everyday life. She recently became a Certified Diabetes Educator® (CDE®) and frequently presents at both state and national levels on occupational therapy’s role in diabetes management. Dr. Rice Collins maintains balance in her life by spending free time with her family and friends across the country and enjoying the outdoors as a Southern California native. Lindsey Reeves OTD, OTR/L, CEAS completed her master’s degree in occupational therapy and doctorate of occupational therapy at USC. Her clinical residency was completed at the USC Occupational Therapy Faculty Practice, where she practiced Lifestyle Redesign. Her doctoral work consisted of growing the pain management program and creating a 10-week Lifestyle Redesign Fibromyalgia Treatment and Support Group. As a clinical faculty member, Dr. Reeves works with clients in the chronic pain, chronic headache, weight management and ergonomic programs, and is a member of the USC Chronic Pain and Chronic Headache Interdisciplinary Teams. Dr. Reeves received her bachelor’s degree in environmental science from UCLA in 2011, and enjoys spending her free time outdoors going on nature hikes, traveling, camping with friends and doing yoga. Tracy Jalaba OTD, OTR/L received her master’s degree in occupational therapy and doctorate of occupational therapy from USC. She completed her doctoral residency at the USC Occupational Therapy Faculty Practice and focused on development for our program for Adults and Adolescents on the Autism Spectrum program. As a clinical faculty member, Dr. Jalaba works primarily with clients in our ASD, college student, mental health and weight management programs. In addition to her work at OTFP, she represents occupational therapy in the USC Office for Disability Services and Programs. Dr. Jalaba is from Northern California and holds a bachelor’s degree in exercise biology from University of California at Davis. Her previous work and volunteer experience includes a year commitment with AmeriCorps working with at-risk youth in Arkansas, as well as non-profit work with Best Buddies, Camp Kesem and Invisible Children. Dr. Jalaba has found balance in LA by joining a local Crossfit gym, cooking with her roommates and getting outdoors as much as possible. Rebecca Cunningham OTD, OTR/L received her master’s in occupational therapy and doctorate of occupational therapy at USC. Her clinical residency was completed at the USC Occupational Therapy Faculty Practice, where she focused on further development of the Lifestyle Redesign® program for individuals with Multiple Sclerosis. As a clinical faculty member, Dr. Cunningham works with clients in our Multiple Sclerosis, college student, weight management, pain management, chronic headache and ergonomics programs, and is a member of the USC Multiple Sclerosis multidisciplinary team. She is from Ventura County and holds a Bachelor of Arts degree in psychology from the University of California, San Diego. In her free time, Dr. Cunningham enjoys camping, pilates, cross-stitching, reading, and spending time with her friends and family. Samantha Valasek OTD, OTR/L graduated from USC with her Master’s degree in occupational therapy and her doctorate of occupational therapy while completing her residency at the USC Occupational Therapy Faculty Practice and in primary care settings within the USC Keck medical system. Dr. Valasek works with clients to improve their self-management of a variety of chronic conditions, including overweight/obesity, diabetes, chronic pain, chronic headache, tobacco use, depression, anxiety, and others. She is involved in the expansion of occupational therapy’s role in health and wellness, particularly in primary care settings where she collaborates closely with Family Medicine and Internal Medicine physicians to enhance care. Dr. Valasek is from Los Angeles and holds a Bachelor’s degree in natural science from Loyola Marymount University. Her favorite occupations include climbing, hiking, reading, writing, and creating digital and traditional art. Marissa Marchioni OTD, OTR/L, CEAS received her master’s in occupational therapy and doctorate of occupational therapy at USC. Her clinical residency was completed at the USC Occupational Therapy Faculty Practice, where she focused on ergonomics and development of corporate wellness programing. Dr. Marchioni works with clients to implement lifestyle changes and improve the management of a range of chronic conditions including overweight/obesity, diabetes, chronic pain, chronic headache, and behavioral health. She previously worked in health and wellness for 10 years including personal training, teaching pilates and leading fitness classes. As a clinical faculty member, she enjoys promoting preventive health behaviors in emerging areas of practice such as corporate wellness. Dr. Marchioni received a bachelor of fine arts degree from Baylor University, and creates a sense of balance in her own life by walking her dog, spending time outdoors, and singing karaoke. Kimberly Lenington OTD, OTR/L received her Master’s in occupational therapy and doctorate of occupational therapy from USC. Her clinical residency was in acute care at Keck Hospital of USC where she focused on implementing occupational therapy programming for patients with incontinence. Since graduating she has completed further training in treating all disorders of the pelvic floor including pelvic pain and sexual dysfunction. As a clinical faculty member, Dr. Lenington works with clients in our pelvic health program and continues her work at Keck Hospital of USC. Dr. Lenington is from Riverside and holds a bachelor’s degree in psychology from Chapman University. She enjoys spending time with her family, being at the beach, and curling up with a good book. 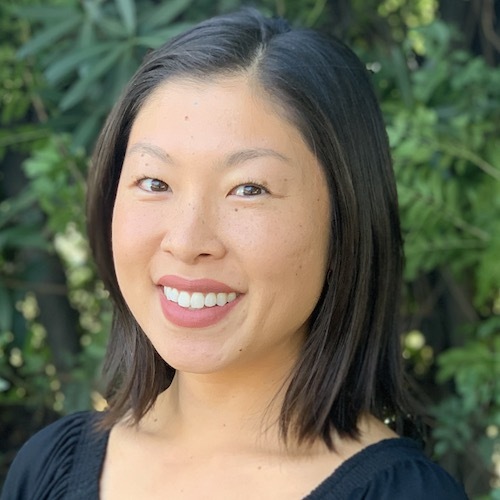 Kelcie Kadowaki OTD, OTR/L graduated from the University of California, San Diego with her bachelor’s degree in human development and literature, and completed her doctorate of occupational therapy at USC. Kelcie primarily works with clients in the college student, health coaching, pain management, weight management and mental health Lifestyle Redesign® programs. Kelcie works with clients to promote their engagement in their meaningful occupations while managing their chronic symptoms. Kelcie is passionate about the expansion of occupational therapy’s role in health and wellness for the undergraduate student population. In her free time, Kelcie enjoys performing with her dance company, snowboarding and spending time with her friends and family. 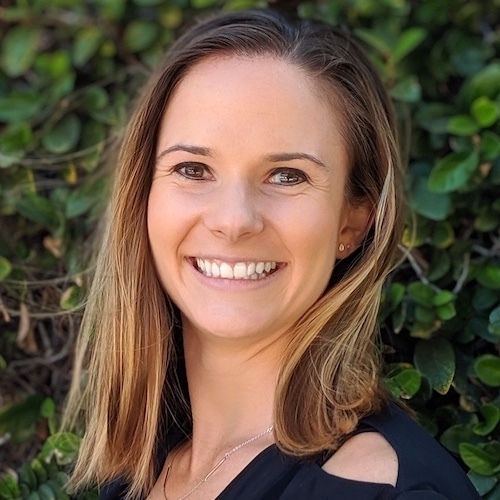 Laura Cox MA, OTR/L graduated from California Polytechnic State University, San Luis Obispo with her bachelor’s degree in kinesiology and from USC with her master’s degree in occupational therapy. Laura primarily works with clients in the diabetes management, weight management, mental health, and pain management Lifestyle Redesign® programs and facilitates groups within the Diabetes Prevention Program at our clinic. She collaborates with Family Medicine and Internal Medicine physicians to expand occupational therapy’s role in primary care, providing consultative health and wellness services to clients. Laura’s favorite occupations include playing soccer, hiking, painting, traveling, and spending time with her loved ones. Priya Parekh MA, OTR/L completed her bachelor’s degree in occupational therapy from Seth G.S. Medical College and KEM Hospital, Mumbai, India and received her master’s degree in occupational therapy from USC. 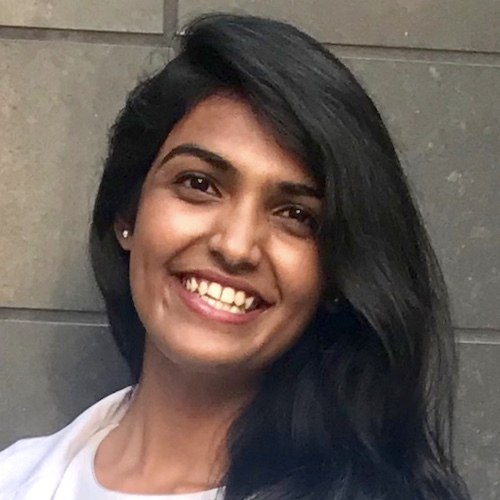 Priya is a doctoral resident at the USC Occupational Therapy Faculty Practice where she works with clients to implement lifestyle changes and improve self-management of a variety of chronic conditions including overweight/obesity, diabetes, depression, anxiety, stress, and others. She also provides ergonomics services to the USC employees and has recently started with LGBTQ student office hours to expand the horizons of Lifestyle Redesign. Her favorite occupations include conversations with new people, reading, music, drawing, watching movies and exploring places with friends. 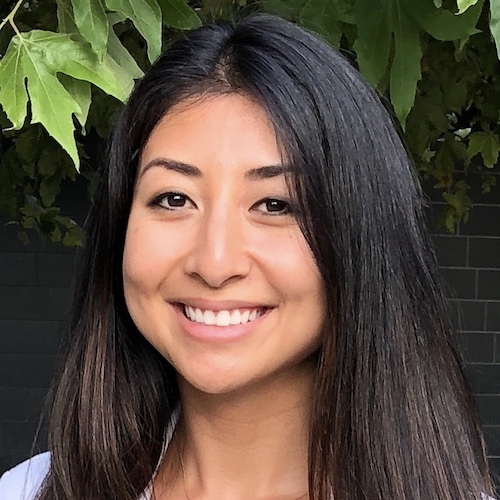 Malia Sako MA, OTR/L graduated from the University of California, Davis with her bachelor’s in Neurobiology, Physiology, and Behavior; she completed her master’s in occupational therapy at USC, and is completing her clinical residency at the USC Occupational Therapy Faculty Practice. Malia primarily works with clients living with neurological conditions, including chronic headache, chronic pain, Parkinson’s Disease, and multiple sclerosis. Malia is passionate about collaborating with clients to identify strategies to improve chronic condition self-management so that clients can thrive physically, mentally, and socio-emotionally. Her favorite occupations include spending time outdoors, yoga (teaching and learning), cooking, reading, going to concerts, and doing all of the above with friends and family. 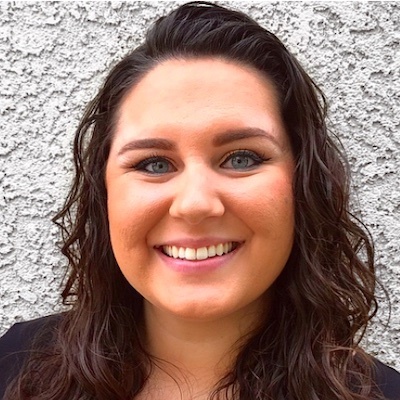 Dani Lombardi MA, OTR/L graduated from USC with her master’s degree in occupational therapy and is currently pursuing her doctorate in occupational therapy at USC. Dani is completing her residency at the USC Occupational Therapy Faculty Practice while also providing patient care in USC’s primary care clinics. Dani enjoys working with clients to help them implement healthy lifestyle changes and improve their self-management of a variety of chronic conditions. Dani has primarily worked with clients in our Weight Management, Diabetes Management, Pain Management, and Mental Health programs. Dani is a Southern California native and received her bachelor’s degree in psychology from Chapman University in 2014. In her free time, Dani enjoys painting, swimming, and cooking new recipes for her friends and family. 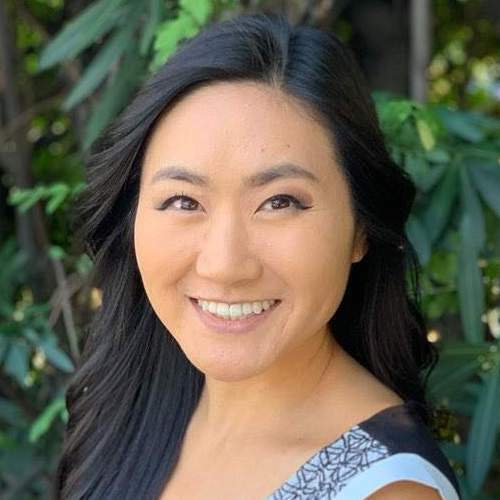 Reena Takamura MA, OTR/L graduated from USC with her bachelor’s degree in business administration and her master’s degree in occupational therapy. She is currently completing her clinical doctorate of occupational therapy at the USC Occupational Therapy Faculty Practice, where she works with clients in our college student, weight management, chronic headache, ergonomics, life coaching and mental health Lifestyle Redesign programs. Reena also provides occupational therapy consultations to undergraduate and graduate students at USC’s Engemann Student Health Center. She works with clients to improve their quality of life by helping them find balance and engage in health-promoting occupations. Reena is from Honolulu, Hawaii and enjoys spending her free time at the beach, petting dogs, or trying new restaurants around Los Angeles. Rubina Azaryan graduated from the University of Armenia with a bachelor’s degree in communications and language arts. Additionally, she holds an AA degree in the science of library arts. Her other notable certificates are medical/dental office management and billing/coding. Rubina is currently an account representative where she manages and holds accounts, completes billing and follow-ups, ensures quality customer service and maintains reports. Her passion for the medical industry has led to mentoring young adults in pursuing careers in billing/coding and terminology. She is currently a member of the Armenian Members of the Youth, which helps children and adults access clothing and food to build better lives. Her passion of creativity continues to keep her active. She uses her skills to design clothing, baby gifts and jewelry, all from scratch. To make an appointment or for more information contact us today!